NEW YORK (WABC) -- A familiar face is retaking control of the nation's largest public transit agency. 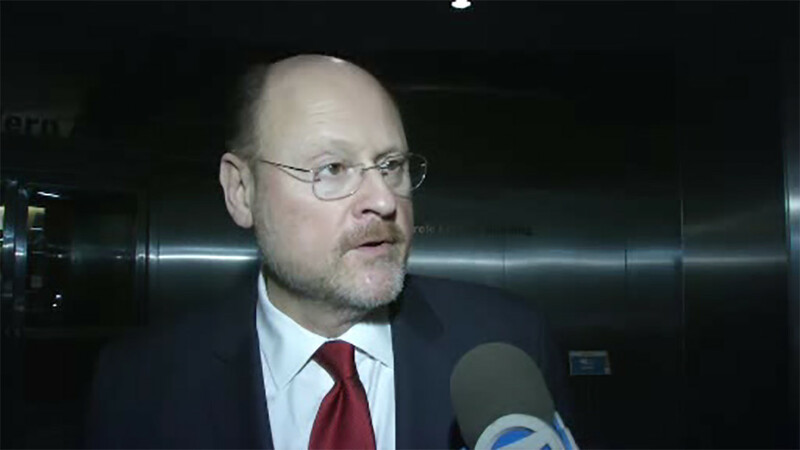 Governor Andrew Cuomo appointed Joe Lhota to once again become the chief executive of the MTA. The appointment comes after Thomas Prendergast stepped down from the post in January. Lhota resigned from the MTA at the end of 2012 to mount an unsuccessful bid for Mayor of New York in 2013. As chairman, Mr. Lhota will receive a salary of $1 per year, and delegate CEO duties to a permanent Executive Officer, a position for which the search is ongoing. "Joe Lhota is a tested and experienced leader with the proven track record needed to address the enormous challenges facing the nation's largest mass transportation system," Governor Cuomo said. "In the wake of the devastation of Superstorm Sandy, Joe stepped up and delivered for New Yorkers - ensuring our region's subways, buses and commuter rails were up and running as quickly as possible. There is much hard work to be done to address the MTA's current failures, and the level of service and daily frustrations commuters are experiencing are completely unacceptable. I know Joe will move to address these issues immediately and ensure a reliable and effective transportation system worthy of the city it serves." "This is an incredibly challenging time for the MTA and we will immediately and aggressively tackle the problems the system is facing after decades of disinvestment," said Joseph Lhota. "The hardworking women and men of the MTA are dedicated, driven and talented -- they are the engine that makes our city and state run -- and working together we will rebuild the system and improve service for all New Yorkers. It is an honor to once again serve the people of New York, and I am grateful to Governor Cuomo for his support and this nomination."